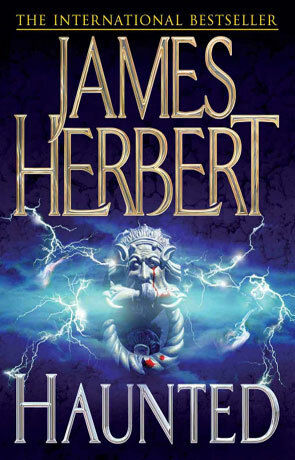 Probably one of my favourites of the late Mr Herbert’s novels. The haunted was written at the end of a very successful decade of writing. Everything about the Haunted book is quintessentially Herbert and quintessentially English. Herbert gets everything right with this book, there is no padding, no waffle. It’s straight to the nerve endings with this book and it really manages to induce both fear and hope for the protagonist to survive. That protagonist is David Ash, and this is the first Herbert novel where he makes an appearance, the other’s being, The Ghosts of Sleath and Ash, Herbert’s last novel before his untimely death. David Ash is a fantastic character to read, a man filled with guilt and remorse around the death of his sister. A man who, in the hope of keeping the memory of her death at the back of his mind and in trying to ensure ghosts don’t exist in order to keep his past at bay, makes it his career to disprove everything supernatural. As a member of the Psychical Institute he is invited to Edbrook, a remote country estate in the middle of nowhere. The occupiers of the house want David to investigate what they believe to be the ghost of a young girl haunting their home. Robert, Simon and Christina along with Nanny Tess are the residents of Edbrook and it isn’t long before they manage to drag him literally kicking and screaming into realising there may be more out there that he can’t explain with leaky pipes and dripping water. This is quite a fast paced novel for James, but still manages to keep us scared and guessing at what is going to happen next without it feeling like he is trying to get to the end so he can unleash his killer twist on us. The scenes he portrays are fantastic and you can imagine yourself there. Almost every horror movie with a haunted house as part of the plot owes something to this book. It was originally written to be a screenplay for the BBC, but turned into a novel instead, something I can say I’m very happy about. There was a film made based on this novel with Aidan Quinn as David Ash which despite some great performances from Quinn and a young Kate Beckinsale, didn’t do the book any justice, the plot being the same but with too many movie additions that are needed to explain the story away. Incidentally Herbert didn’t write the screenplay just the book. Written on 9th August 2013 by Arron.